winter RCM examinations in the City of Markham every year. 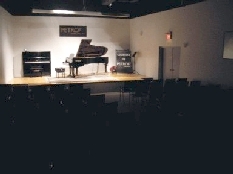 piano teachers’ student recitals near and far. Practical Examinations take place Monday to Saturday from 9:00am to 5:30pm. For more information on RCM Examination dates and details, please visit their website at www.rcmexaminations.org . If you have any questions or inquiries about our venue and school operation, please feel free to contact us during our normal business hours and we will be more than happy to assist you.